Throne: Kingdom at War – a city-planning simulator with massive multiplayer online battles against real players during the Middle Ages. You begin play as a lord and heir to the King, but to sit on the throne you have to go through many trials and demonstrate your power to all other players across the world! Build the most impregnable fortress and train brave soldiers to win on a wide variety of foes with the ultimate goal of taking the throne of the Kingdom of Amaria after the death of the Gerhard king. 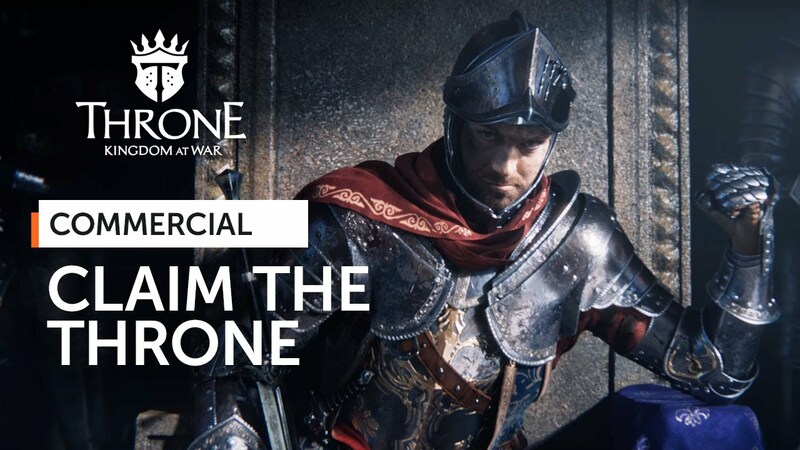 Throne: Kingdom at War is a classic free-to-play browser-based strategy with the construction of the city and heroic raids on neighboring states, from the publishing Plarium Games. To fulfill your dream, you need to build sawmills, mines, quarries and train a couple of tens of thousands of soldiers. Join the Order with other lords to create your own clan and work as a team. Take part in tournaments to achieve the title of king, to raise your reputation and collect more tribute from the occupied territories. Play in Throne: Kingdom at War no download in any browser on PC.